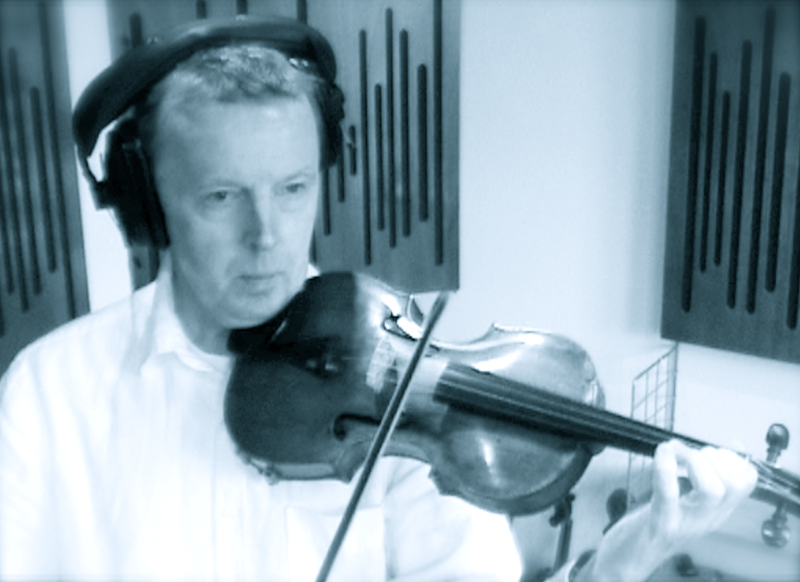 I’m Pete Whitfield, violinist, arranger, composer, loops producer and orchestrator. I write and arrange for strings. I love my work! I studied at the Royal College of Music (violin and composition) and have always enjoyed variety in my music career. Writing and arranging for strings has ended up as my speciality, but via bands and radio commercials and music theatre (musical director for The Rocky Horror Show ’96 – ’99) and teaching. 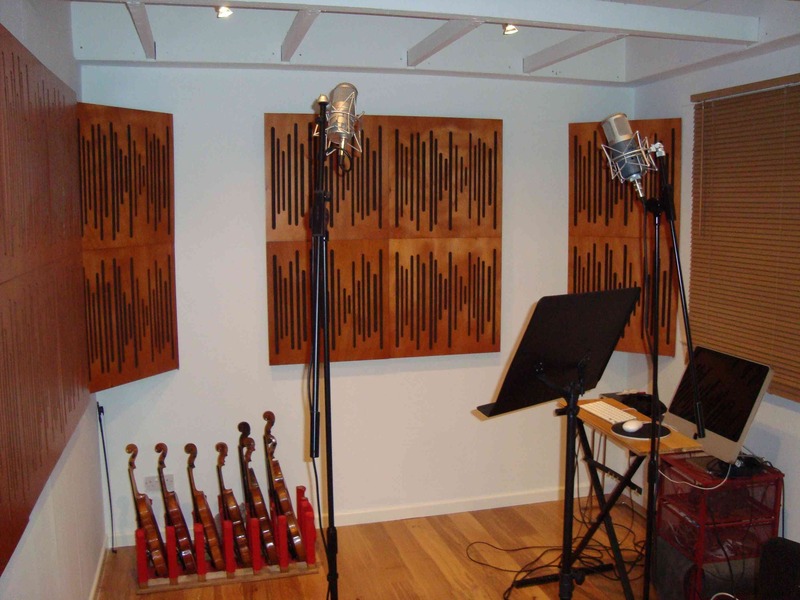 In 2010 I did a new build for my studio, improving the acoustic recording space. I use SE and Neumann mics, into a Metric Halo ULN2, recording in Logic on a Mac. Acoustic treatment by Vicoustic, supplied by System Workshop. I’m in love with your music. I was referred to you by a friend, who said you might be able to help me? I’m desperately seeking violin, grand piano. Are you available at all? your string loop uploads on looperman.com are beautiful. Glad I found your website and educational blog. Can you tell me what program you use for notation that you use in your videos? Hi Glenn, to make a movie showing music notation I use a Overture for the notation (though any notation programme would do) Snapz Pro to record the screen actions then iMovie to edit the video and add a voice over. I’m starting a recording project in February and need strings on one track. I would like to get you a demo of the song so we can discuss time and cost. Just a quick thank you note really! I have to say that your strings beat everyone hands down. I have just purchased the pack from Big Fish, and eagerly await any follow ups. I am sure that they will be utilised in my latest artist’s (Olesya Star) compositions in some way or another, and I’m hopefully positive that sometime this year I will be able to utilise your skills much further, if your schedule allows! Thanks for your comment Adam – hope you get plenty of usage from that pack! Disco strings coming next! I’m interested in getting some “Motown” strings on a song that I’ve produced for an indie artist named Inobe. I’m looking for an arrangement similar to Marvin Gaye’s “What’s Going On” which is also prominently interpolated in Corrine Bailey Rae’s “Call Me When You Get This”. What’s your ballpark for 2 main parts (Intro and Hook) with some reprise in a Verse and Bridge? I’d prefer real strings, but honestly I’m ok with whatever is cheapest to do. I have East/West Silver, Miroslav, SampleTank and Kontakt so I can also use midi files for the individual strings instead if it’s cheaper. I just need something better than what I can play on keyboards. I can send you an mp3 of the song if you need it for a quote. ps- I just got Disco Strings last week and I’m lovin’ it! Where can I find ALL those great virtual interviews you did over the past three years or so with fellow professionals? Hi Dom, they all in iTunes at http://itunes.apple.com/gb/podcast/digital-musician/id293931277 though I haven’t done any recently. There’s even one there that you recorded. For a beginner with regards string writing and using samples. What would you recommend? I’m not talking about specific samples, such as loopmasters, but style of play etc, i.e. to recreate in a credible manner live strings? I’m very happy and impressed about your site and the very educational video on string writing(very clear btw) came across on Youtube. I’m wondering if it is possible and how to apply your loops os samples to a music notation software such as Finale or Sibelius. Wow… I have been looking for code to mix on the web. I have been working on a project that is for music education (actually, recreating The Lamb by Genesis in MIDI triggering sampled vintage instruments). I want to put STEMS up from the project and have been looking for HTML like you created. I think that this is fantastic!!!!! Is there any way to share the HTML source so I could use your on line mixer as well for my FREE site? I had fun playing with the REAL STRINGS BTW. I have a track that has sampled strings and I`d like to make it “real”, I`ve a midi file that needs sorting into violin, viola and cello parts and recording. The track is about 4 mins long, Can you give me an idea of how much this would cost? Hi Maxine, every song is different so it’s best if you could send me an mp3 and the midi file. It’s a string quartet arrangement (solo parts) or string ensemble? I’ll email you. My name is Kyle Adams, professionally iTocksays. I’ve recently came across one of your pages via Splice.com and I love what I heard. I’m looking to incorporate string ensemble into my work and would like to know the cost of something like this. Please contact me at irocksaysmedia@gmail.com when have a chance to discuss your rates. Have a most pleasant day and I hope to hear from you soon. Im not fully recovered (stable). I asked your permission to sample some strings & you said no problem….. Started a music & video prod. co. in NYC. We do diff. geners of music. I created a website & online store to publish content. Everything is in place to finally get back to work. I am a student of hip hop… So naturally i do samples but your the only person to Grant permission w/o the hassle.